In fact it is present everywhere and because of this we tend to forget about it\’s importance and take it for granted. Pollution causes water molecules to gather together in larger clusters than it would naturally, as the water \”wraps up\” (dissolves) the pollutant. To some people these may seem like bold statements that are a little far from their reality … however, all of these statements have been scientifically proven with ample research and documentation. 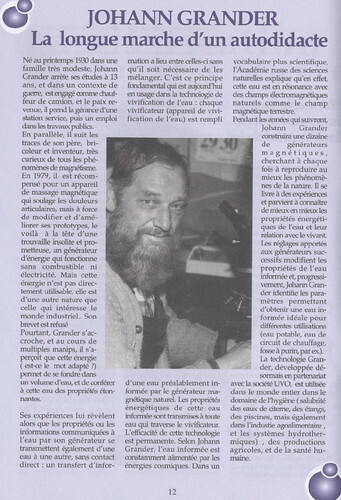 Dr. Schweitzer developed a fluorescent microscope using a light temperature of 732nm which presented the greatest probability of monitoring this somatide activity (particles of light) in water. He observed that these small light bodies could be directly influenced by positive and negative emotions … however, they would respond with greater luminosity in the presence of positive thoughts. 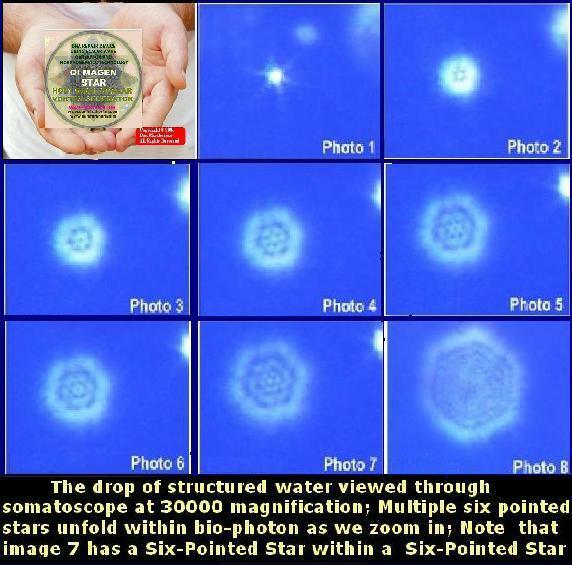 Thanks to the work of Dr. Masaru Emoto we now have visual proof of the EXTERNAL structural organization of water and the potential to influence that structural organization through our intent. 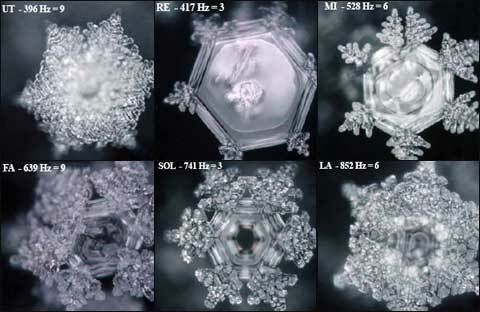 Dr. Emoto developed a method to freeze water samples and then photograph the resulting crystalline formation, using a microscope (x500 amplification). He tested waters from all over the planet originating from many different sources ” such as lakes, river, glaciers, city water, bottled, distilled etc. Each of these samples revealed different levels of structural organization. 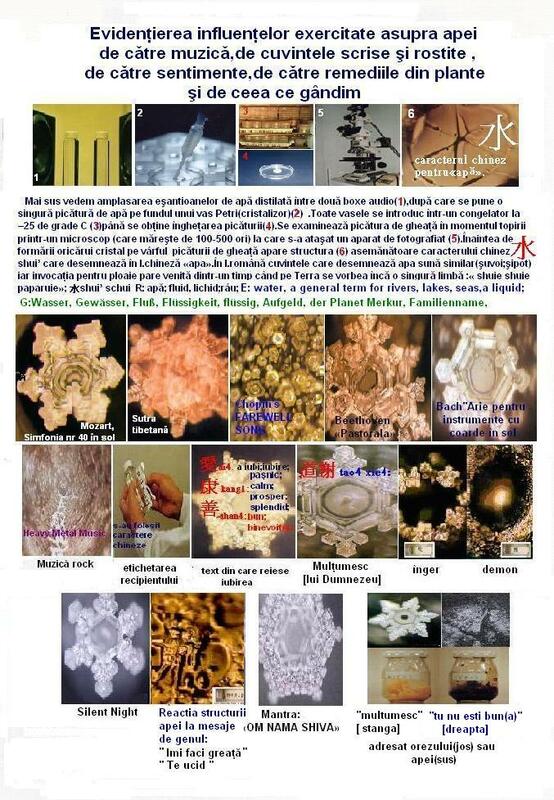 However, he did not stop there … Dr. Emoto took his testing to a new level. 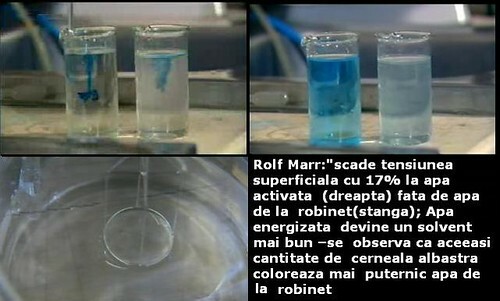 He exposed samples of water to different types of music and tested the resulting crystallization. Beethoven, Mozart, Bach all produced beautiful crystal formations. On the other hand, some of our popular rock music and heavy metal music ” produced distorted, broken and negative reactions in the crystalline structure. To take it a step further “he then took vials of water and placed various words on them ” such as “Thank You”, “Love/Appreciation”, etc. 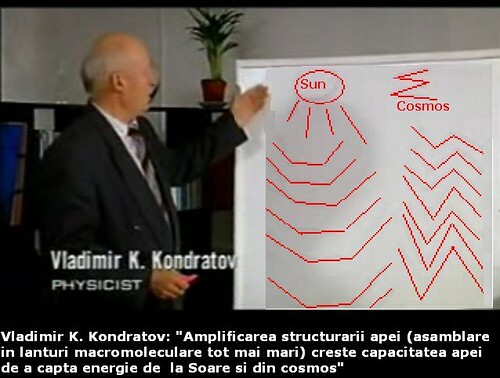 “which again created beautiful crystal formations. On the other hand, words such as “Dirty”, “Devil”, “Demon”, produced an ugly non-descript mass. He also exposed water samples to various pictures and prayer, with resulting structural organization taking place in the water. We use the Grander technology in our water revitalizing system to produce the highest quality pure living water. It returns the drinking water to what it once was the “Wellspring of life” . The “pure living water” goes through double process and 16 purification stages to give it more purity and better taste. It’s many times more effective in bacteria control as compared to any other traditional methods. It produces higher dissolved oxygen to provide more energy. 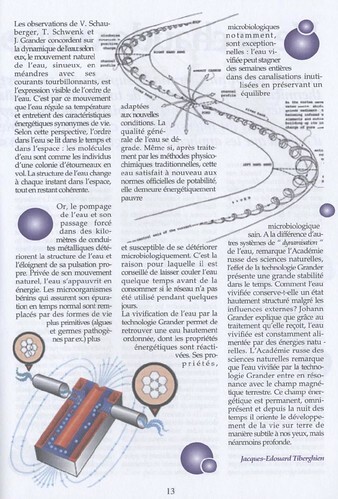 The Grander Technology incorporates a device that transmits the natural frequencies of the earth’s magnetic field into the water. . The restoring of this natural information has the capacity to rectify the fundamental problems of our drinking water, and to restore the structure of water molecules damaged by pollution, addition of chemicals, processing and transmission in pipes. The Grander process changes the inner structure of water and returns the water molecules to a highly ordered state, making the water more stable. The Grander process involves a field effect generated by highly structured water (“information water”) developed by Johann Grander. The information water passes structural information through its field to other liquids nearby. 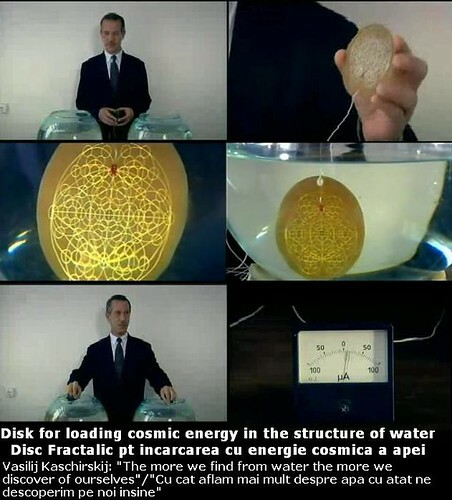 The water which passes near the information water takes on a new structure (is “revitalized”). The Grander process changes the inner structure of water and returns the water molecules to a highly ordered state, making the water more stable. How is the water revitalized? The Grander process involves a field effect generated by highly structured water (“information water”) developed by Johann Grander. The precise method by which he produces “information water” is a trade secret. The information water passes structural information through its field to other liquids nearby. 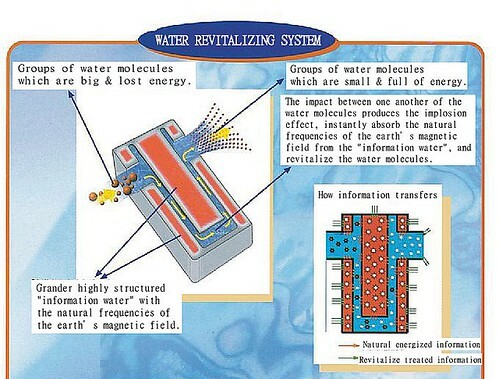 The water which passes near the information water takes on a new structure (is “revitalized”). 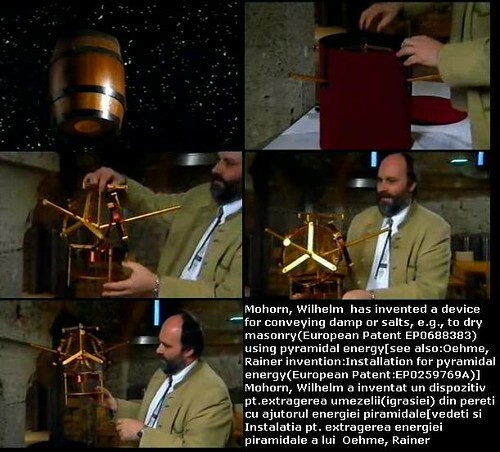 Worldwide practical experience of using Grander Technology has confirmed Johann Grander’s assertion that this effect can be passed on to all waters. Key revitalized water properties are: Enhanced shelf life Enhanced solvent power Enhanced microbiological properties Enhanced shelf life: revitalized “Blue Water” is sold with an official shelf life of 4 years. The Blue Water is never subjected to any kind of disinfection during the bottling process. The water has been shown to remain pure regardless of storage conditions (e.g. temperature and light). These unique keeping properties are only possible through the Grander process. Enhanced solvent power: practical experience in thousands of applications has shown that the use of revitalized water enables the reduction in quantity of detergents whilst maintaining cleaning effects. This allows the clear conclusion to be drawn that revitalized water has more solvent power. Enhanced microbiological properties: Practical experience with industrial closed heating/cooling circuits demonstrates that when the water is revitalized using the Grander process it can be used for longer periods of time without losing its microbiological stability. The Austrian naturalist Johann Grander developed a natural means to revitalize water.